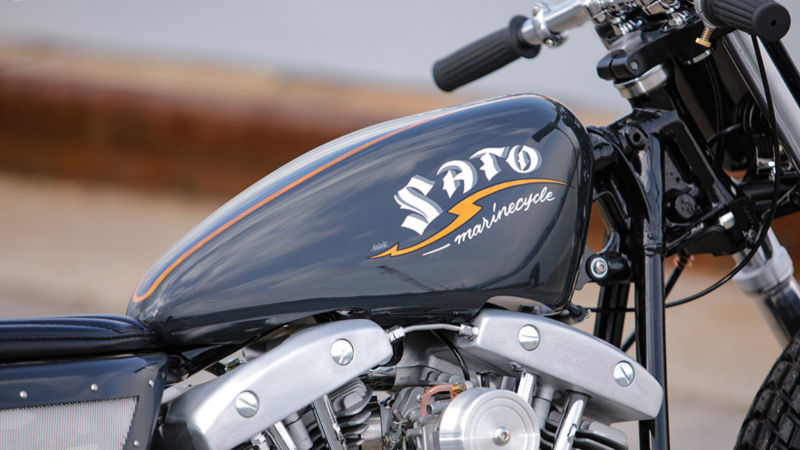 Daily Slideshow: Sato's take on the H-D classic is yet another great example of the Japanese custom culture. 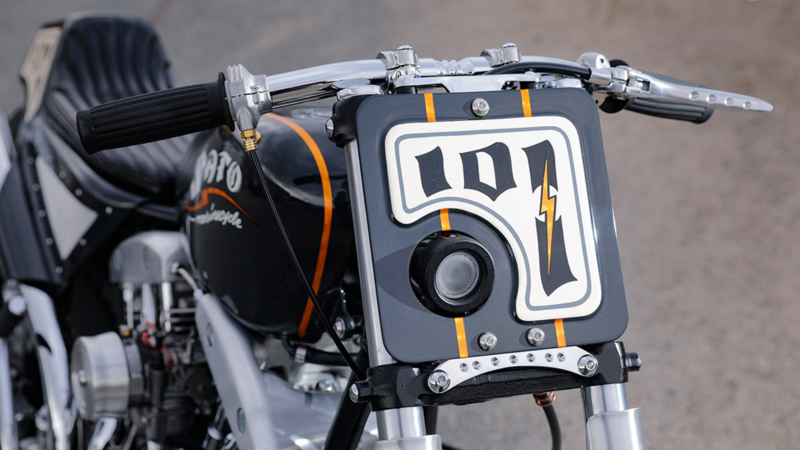 The Japanese custom scene is hugely popular at the moment, producing some absolutely jaw-dropping Harleys. Our friends in the East are giving us a fresh perspective on custom bikes, and we can't get enough. 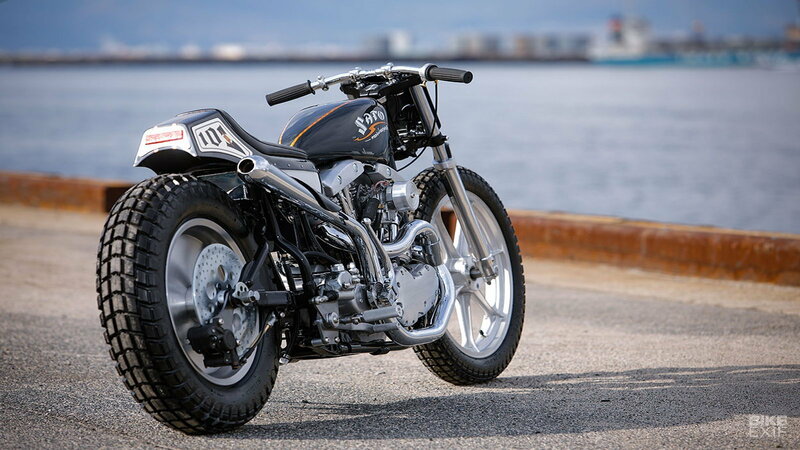 This 1968 Shovelhead, produced by Sato Marine Cycle (SMC) which is based in Onomichi, embodies this mystifying custom scene. SMC has been open for 30 years. It was originally a Yamaha dealership but has become primarily a custom bike shop since 2007. Yusaku Sato owns SMC and runs it with his wife and two other members of staff - a small but efficient team. 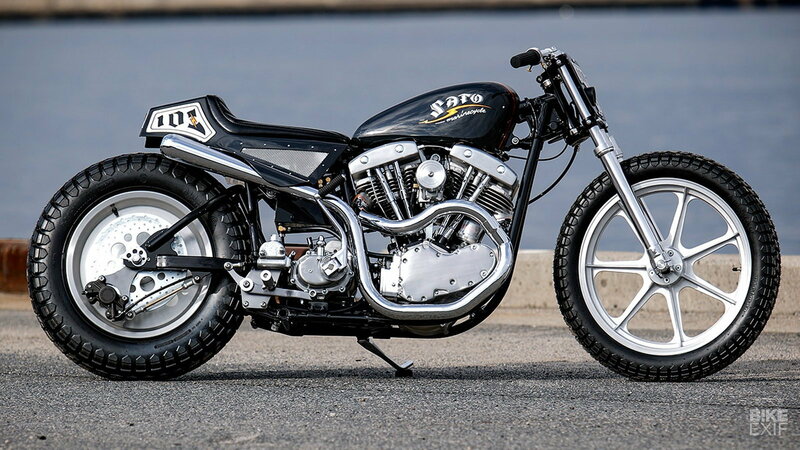 Believe it or not, this sleek, low custom started life as a 1968 Harley-Davidson Shovelhead. Clearly, life had other plans for this classic. 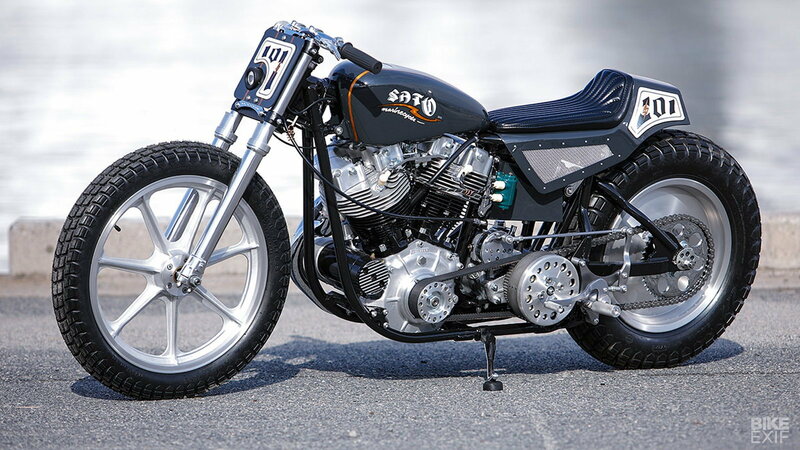 Despite being 50 years old, the 1968 Shovelhead was in completely original condition when SMC got their hands on it. Furthermore, it was running just fine. They just don't make them like they used to. Some collectors would kill to get a 1968 Shovelhead like this, such a shame to tear it apart... well almost. >>Join the conversation about this 1968 Shovelhead custom right here at HDForums.com! We're sure the 68' Shovelhead was beautiful in all its original glory, but we're definitely happy with how SMC has customized it. For starters, the swingarm and subframe are customized so Sato could add in a giant rear shock from an MX bike. The original front forks were kept after SMC refurbished them. 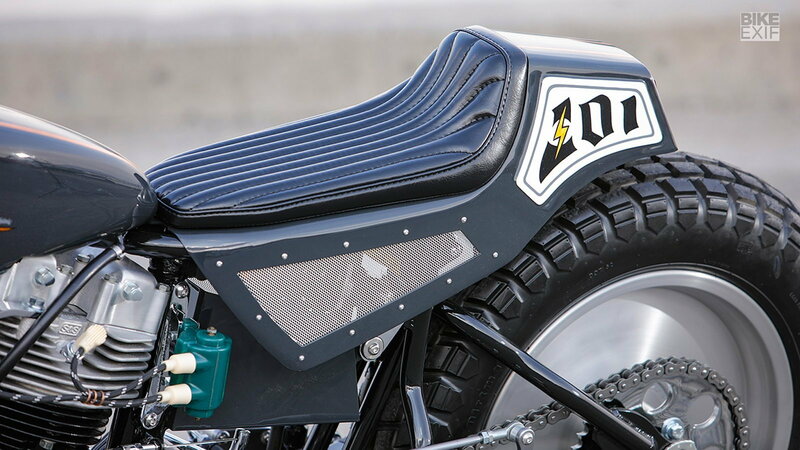 A thin fuel tank falls in line with the long, sleek look that stretches all the way back to the custom aluminum tailpiece. It culminates with an LED rear light and mesh panels. The cockpit is as minimal as they come, having no switches or even a speedo. In fact, it doesn't even have a front brake lever on the end of its narrow, custom-made handlebars. The wheels have been changed too. 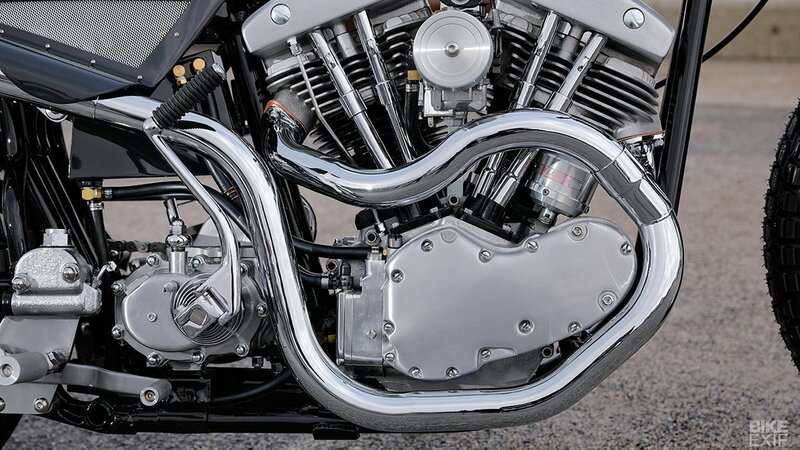 The Shovelhead now has a 19" front, and 16" rear wheel which is solid. Sato has wrapped the new wheels in 'Dirtman' tires from Allstate - a Japanese tire manufacturer. These tires add to the off-road look of this bike perfectly. When asked what he wanted to achieve with the build, Sato said: "winding and dirt. I wanted to enjoy the bike in every scene." As mentioned earlier, there's no front brake lever, because there's no front brake. All of the braking is handled by a Grimeca master cylinder and caliper which SMC has connected, via a custom mount, to the rear wheel. The Shovelhead motor looks like it was built yesterday, polished, and then polished some more. The whole bike had to look like it was fresh out of the box, as it was on display at Mooneyes. But it doesn't just look the part. Thanks to some performance upgrades, it moves too. Sato kept the Harley's four-speed transmission. Although, it now shifts using a stronger clutch. SMC also installed an upgraded 1.5" open primary. But the centerpiece of the whole build has to be the 2-into-1 custom-built exhaust system. Sato built the exhaust to wrap around the cam cover, duck behind the kick-start lever, and finish up high, just below the seat. It is truly a work of art. 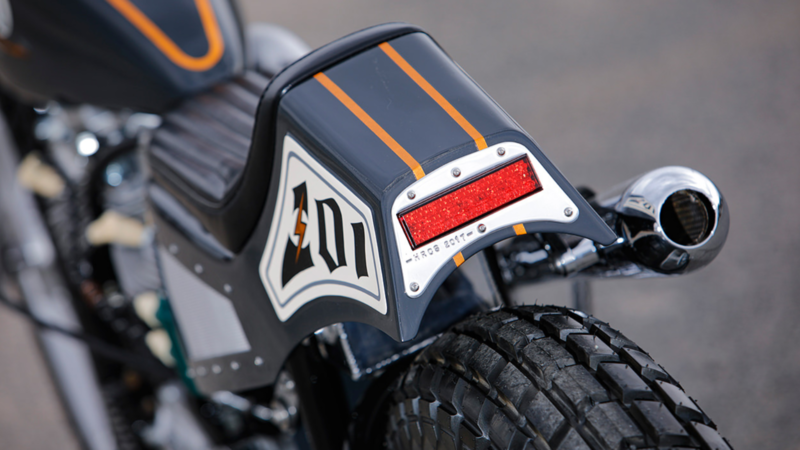 For maintenance and repair guides for your Harley, browse our technical How-to articles right here at HDForums.com!